The humble Steamtank has been a staple of the Ironweld since the inception of Age of Sigmar and a beautiful model in the Empire range in the world that was, it was only fitting then that when I came to revise the Ironweld into a new iteration that it found only only one new warscroll but three to reflect the myriad of designs that Ironweld Arsenal can mount on such a reliable workhorse of an engine. One thing I wanted to emphasis in the lore was how vital the fleets of Steamtanks (Now referred to a Coghaulers) were in the expansion of the early Ironweld, reliable and secure they can traverse landscapes hostile to the traditional horse and carts, moreover their ironhide shells can repel the weaponry of marauding tribes making them ideal escorts and transports for the arsenal of the Ironweld cities. 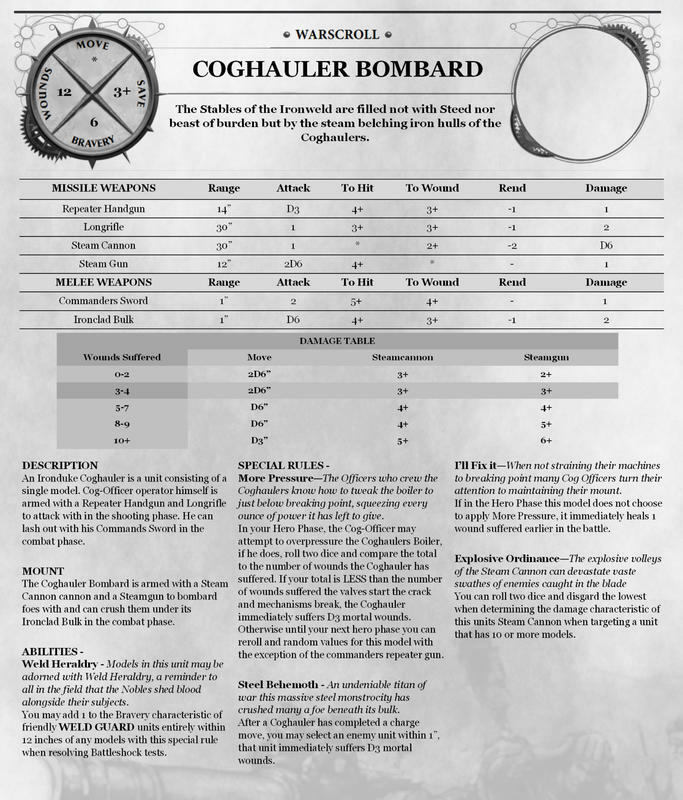 With that in mind I translated the original Steamtank warscroll into the standard chassis dubbed the Coghauler Bombard, known for its lethal array of weaponry able to rain death down on a foe even as its behemoth weight hurtles towards them. With the initial Warscroll translating across well, as Ironsworn knights in their giant steeds riding across the battlefield it was time to determine how the Ironweld view and approach magic. From the outset I had been against them wielding magic itself as I do not believe every faction should cover every facet, indeed it would be far more in their nature to try and bring order to the unruly magicks that ravage the realms. With some feedback I was presented with the idea of the Reality Anchor, formed of harvested Realmstone kept in constant motion by the Coghaulers Steamengine it is able to produce localised stabilising effects much like proximity to the centre of a realm, despised by the college arcane for its obsene effect on those who seek to harness magic nearby it has been known to inflict agonising pain, even death to those who try and break through its arcane interference.  Able to dispell a single spell a turn as though it were a wizard it is perhaps the secondary ability of the Anchor that is most potent, it creates a double layered aura to impede spell casters, with the outer ring providing a small debuff to casting with the inner ring far more lethal. 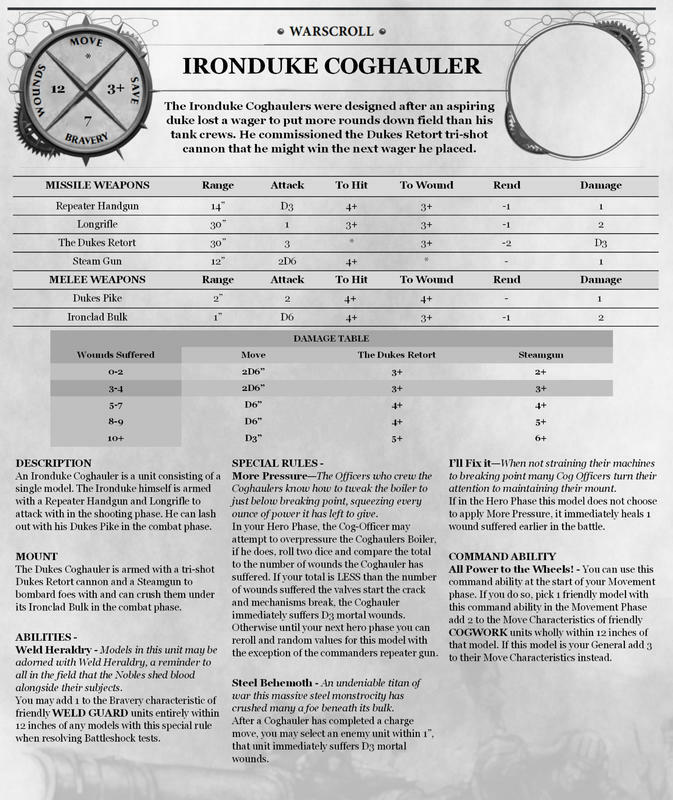 As the Ironduke is a character we can look into the Command Traits available, however first as his Coghauler is a mount it can take an Artificer Cogwork, the Ironweld variant of mount traits for their elaborate designs. Key to keeping him alive for prolonged periods on the battlefield perhaps the most immediately useful comes by way of the Ironbark Bulwark, able to ignore the first point of rend for lightweight attacks. 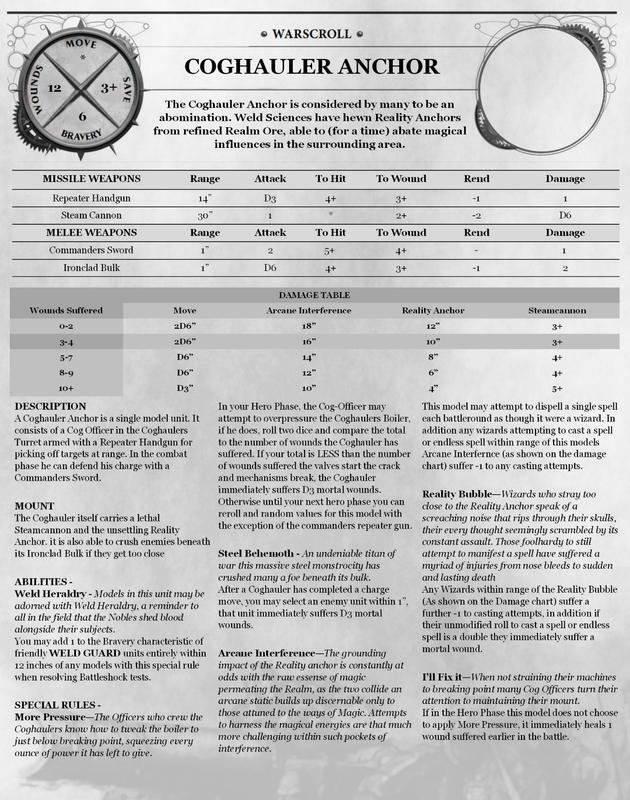 And to ensure his own Coghauler and those around him keep going making his Command Trait the Artisan Engineer allows him to repair a single Cogwork unit a turn as though he were an Engineer! Here we would now have a fleet of Coghaulers speeding down the battlefield with their Ironduke at the helm steering them into a headlong charge at the enemy, able to make makeshift repairs to the fleet whilst his own robust Coghauler deflects feeble blows away. When themeing your army to Coghaulers one house in particular leaps out, the House of Rok are the original innovators of the Coghaulers of the Realms, still utilising the same core chassis as when first concieved their own Cogfleet is perhaps the longest serving and most reliable in all the Weld. Those playing as House Rok halve the damage taken on their Coghaulers when consulting the damage table, working at near optimal capacity even as parts begin to chip away.